If you use CPAP and are a mouth breather, is a Full Face mask the only answer? Frequently we hear patient’s report to us that they are mouth breathers and will only be able to tolerate a full face CPAP mask. 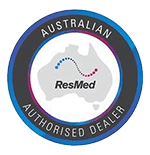 This belief will often stop people from trialling a nasal CPAP mask or a nasal pillow CPAP mask. 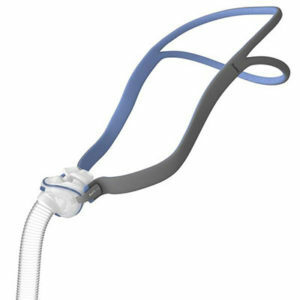 Can I use a nasal CPAP mask if I am a mouth breather? Each week, we have consultations with people who are finding their Full Face CPAP mask too cumbersome and uncomfortable but have never tried a nasal CPAP mask because they believe they are a mouth breather.It certainly takes some convincing, but when we are able to get people to give a nasal mask a try, we have seen some staggering results. In the past fortnight alone I have had 2 patients report an extra 3 hours sleep simply from shifting over to the smaller, less cumbersome nasal mask. Quite often people will be mouth breathers out of necessity – because the nasal airway is blocked. The pressure that is supplied by the CPAP machine, will help to open the nasal airway allowing people to breathe through their nose again. It will feel a little funny at first, but with some persistence, we have seen some terrific results. Initially it will take some getting used to as pressure will escape through the mouth when it opens. It is important to note that this is not dangerous, but it can be frightening at first. Typically after a couple of nights people become accustomed to the nasal mask and are then able to use it as their predominant mask. 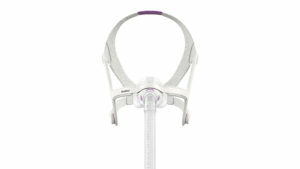 Getting people comfortable and compliant on CPAP is our number one priority. If people are able to use a nasal mask, it means less on the head and we are more likely to achieve our goal. If you have never tried a nasal CPAP mask or a nasal pillow CPAP mask, it is worth some strong consideration – even if you label yourself a mouth breather. If you wish to discuss this further, we offer face to face online discussions which allow you to discuss your CPAP therapy. Hi Ian, I assume you mean a UPP. I have heard in some circles that a nasal mask will not work after a UPPP. In saying that, we have had some patients who have had this procedure go on to use a nasal mask successfully. Best bet is to try and see how you go.